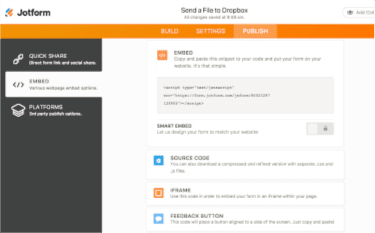 From your website to your Dropbox! Whether you use Dreamweaver or Facebook, we’ve got you covered. 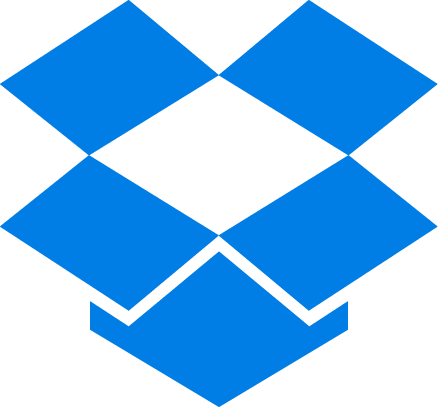 Regardless of skill level, every platform is just a copy/paste away from your Dropbox. Customize your form to suit your needs. You can add or remove fields, choose a pre-made template for your form or even create your own style. Click on the button above and let us do all of the work for you. If you are already a JotForm user, scroll below for instructions to get your hands dirty. 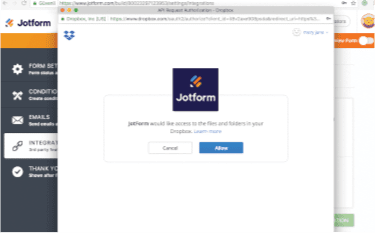 Create a Dropbox form and we will create a folder named JotForm in your Dropbox. When you get a new upload, it will be there instantly. No mess, no BS. Just follow the instructions below. 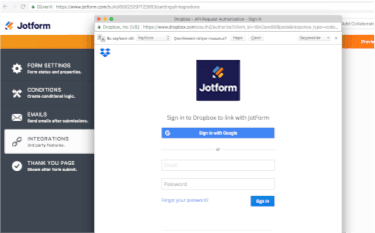 If you're already a JotForm user, you can skip to step 2 and integrate your existing forms. 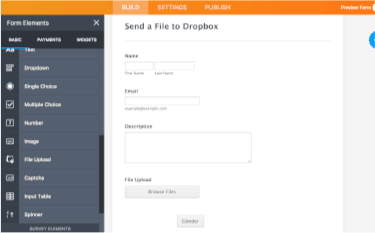 Go to JotForm Form Builder and drag a File Upload field from the "Form Tools" menu to your workspace. If you wish to collect any other type of information, add the relevant fields from the tools menu. From the same page, Click "Integrations" toolbar under "Settings" tab, search for "Dropbox" using the search bar and select it. Click the "Authenticate" button and a popup window will appear. 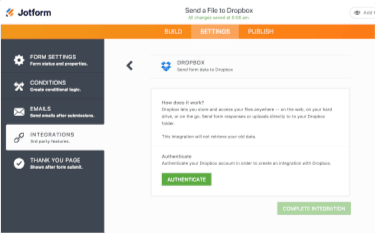 Login to Dropbox and the integration of your form builder with file upload will be ready. After giving JotForm permissions, a message from the wizard "Authorization successful" will appear. Click the next button and do the last step. 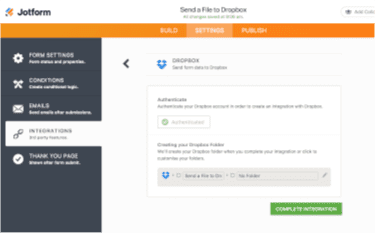 Manage your integration Folders to your likings. If you're satisfied enough click the Next button and your Integration will be completed. All that's left is to have your form on your web site. Go to JotForm Form Builder and click "Embed Form" from the options bar. You can embed your form into your website or your Facebook fan page. If you don't have a website, you can also email the form link directly to your clients or colleagues. Find detailed instructions on completing the integration here.